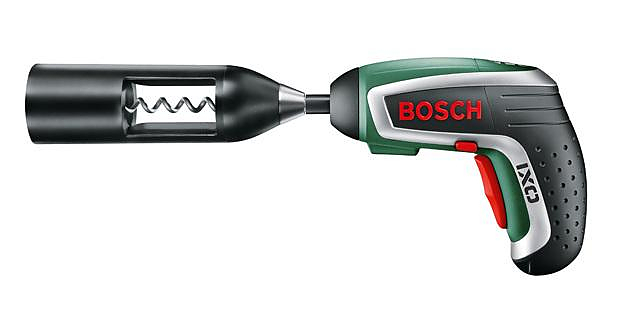 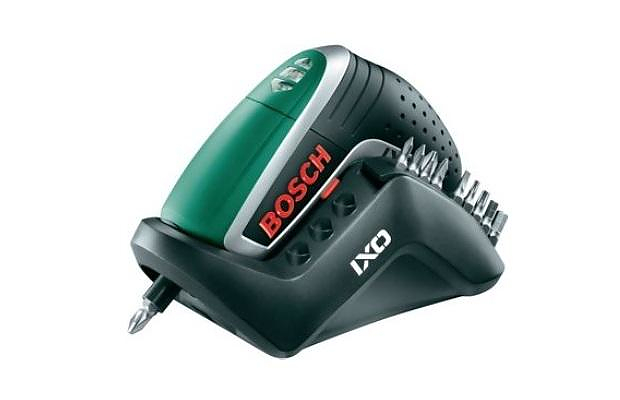 Bosch IXO Vino a Cordless Screwdriver becomes an Electric Corkscrew. 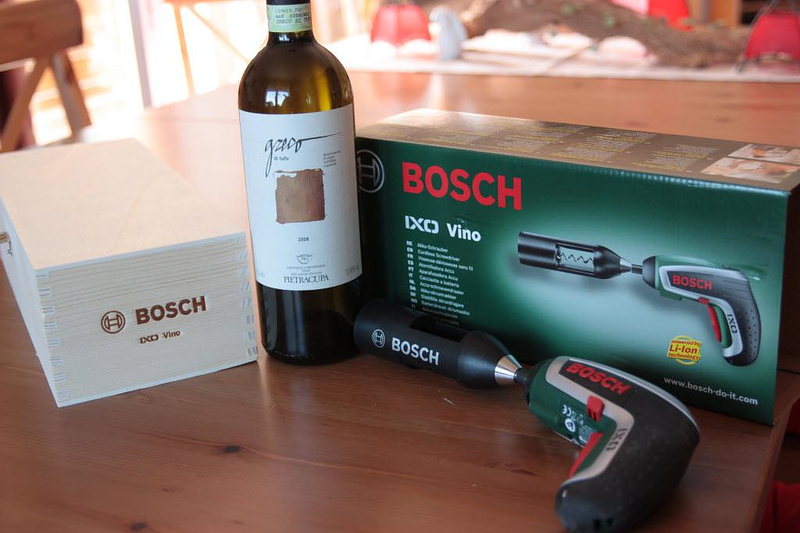 HomeBlogHome DecorBosch IXO Vino, a Cordless Screwdriver becomes an Electric Corkscrew. 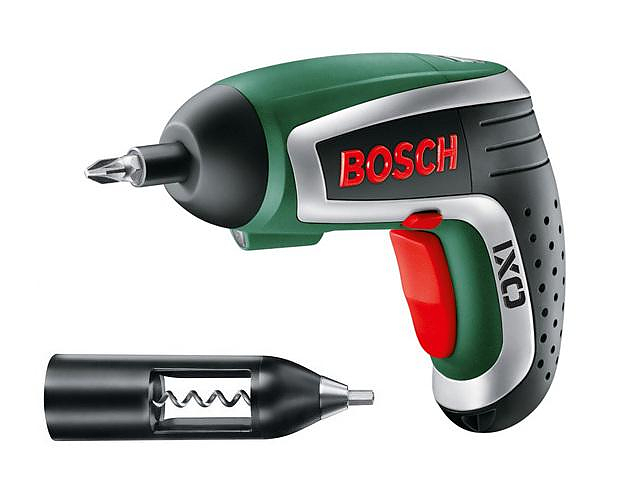 The Bosch Ixo Vino is an ingenious device which combines two seemingly irrelevant functionalities into one unexpected gadget. 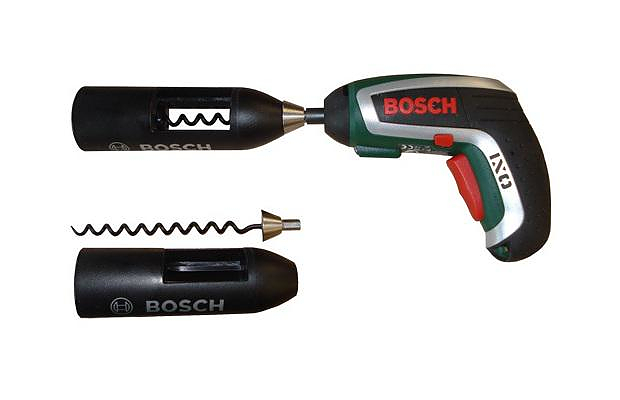 It is a Cordless Lithium-Ion Screwdriver, which doubles as an Electric Corkscrew. 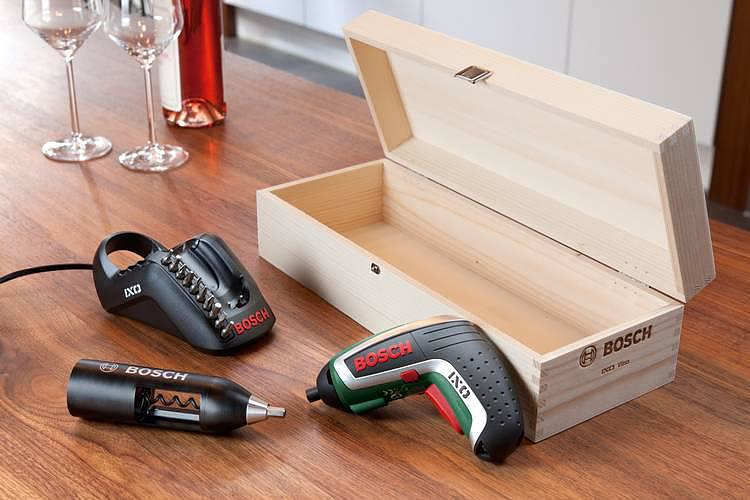 Even its packaging brings the user in the mood, as the Ixo Vino is packaged in stylish wooden box, just like premium wine bottles. 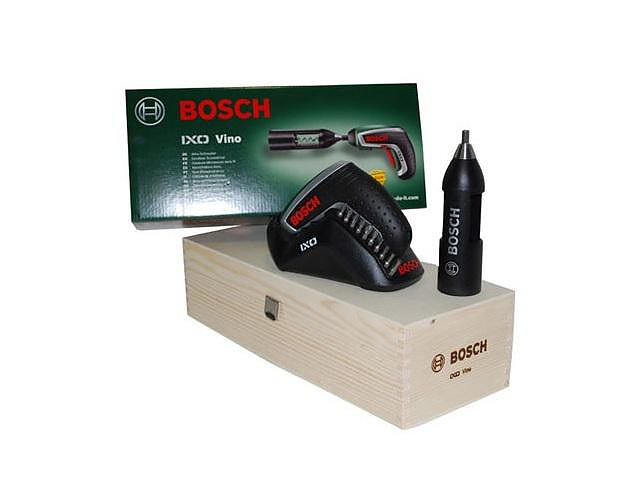 It is equipped with LED powerlight for working in poorly lit areas. 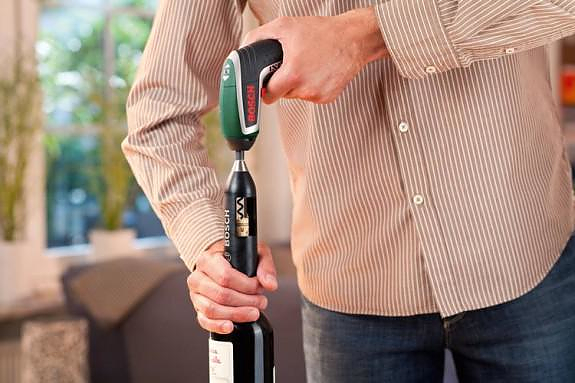 OR maybe the LED was meant for inspecting wine labels in the cellar?